In March 2014 Clive Elsdon Building Design, on behalf of their client, successfully obtained Planning Approval for a New Dwelling within the Settle – Carlisle Railway Conservation Area. The existing bungalow, known as “West Winds” on Lambley Bank in Scotby was built in 1959 on what was then a green field site. It was originally a brick faced building, but when extended in 2002 the original building and the new extension were wet dash rendered to give the whole building a similar finish. The New Dwelling that this approval relates to is within the substantial garden of that existing bungalow. The proposal required the re-opening of previously closed vehicle access to serve the existing dwelling, and alterations to the existing drive layout so that the current vehicular access would serve only the new dwelling. The proposed dwelling is two stories high, however, in order to reduce it’s massing the eaves are at a reduced level. On the whole the new building takes many of it’s design cues from the existing bungalow on the site. It is fully rendered of traditional construction and style. 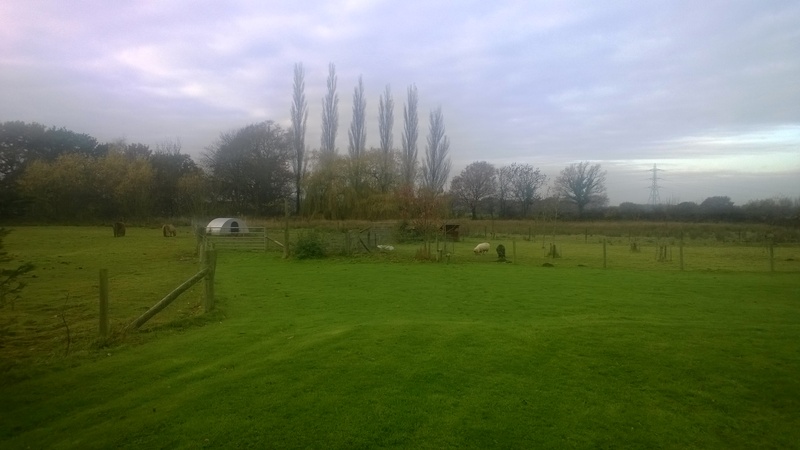 The layout of the site are which is to be separated from the original land and the dwelling has been designed to provide appropriate areas for modern day living including a garage. The relationship to the nearby dwelling was very carefully considered. Our client was particularly keen to ensure that their existing bungalow was not overlooked, therefore windows in the North East Elevation of the new house have been kept to a minimum. Those that are planned are either at ground floor level or serving a bathroom and obscure glazed. The new house will have an internal floor area of about 134.96sq.m. with three bedrooms at first floor, one of which is en-suite. Whilst the land will be subdivided with the existing bungalow, the new house will still benefit from a substantial large garden area and plenty of parking for vehicles, including a detached garage. We would be happy to look at any similar projects or indeed any potential building project at all with a view to providing a fee quote for a Planning Application and / or Building Regulation Approval. Within DL & DH postcodes (and some other areas) we are happy to attend a feasibility meeting on site FREE of charge.) We always provide a written fee quote! Please contact us either using our contact form or by email to design at cliveelsdon dot co dot uk (replacing the words at and dot with the appropriate symbols, or by telephoning us on 01388 526641. 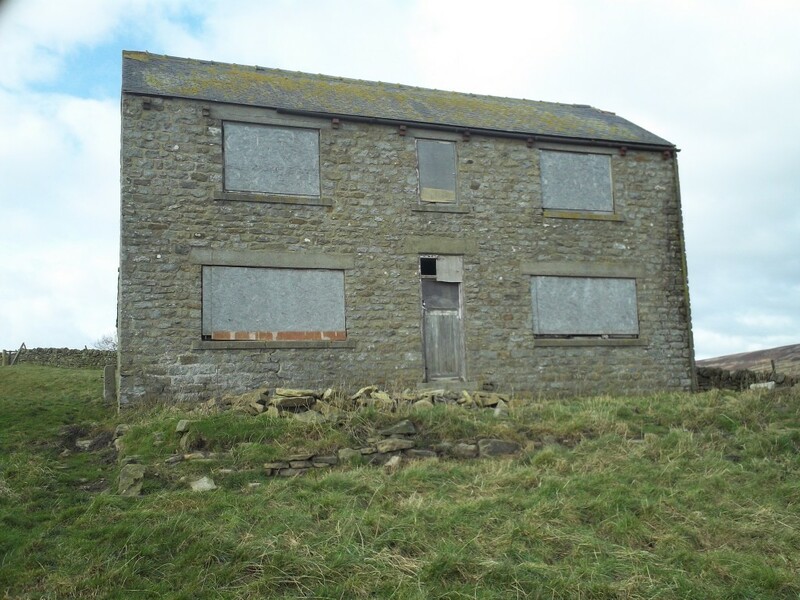 Clive Elsdon Building Design are pleased to confirm that they recently obtained a Planning Approval for the refurbishment and extension of Ladley Farmhouse, part of Newlands Hall Farm near Wolsingham in Weardale. The proposals are to extend the existing farmhouse to the rear to provide additional accommodation including a kitchen, utility room, toilet and boot room at ground floor level with a bathroom and additional bedroom (making 3 bedrooms in total) at first floor level. The new toilet & bathroom facilities will be the first time the house has had an indoor toilet and fixed bath facility. Previously only an Earth Closet and a Tin Bath in front of the fire were available. The new extension will, broadly speaking, be in the area of an existing lean-to kitchen area that whilst looking like an extension was in fact original to the dwelling, The area of the existing original earth closet and coal hole will remain. It is intended to use that as a plant area for an environmentally friendly heating system which will work in conjunction with a ground source heat pump. Whilst more modern in style and construction than many of the local farm houses, the currently unoccupied but maintained and secured Farmhouse is within the boundary of the North Pennines AONB on the North side of Weardale in County Durham. The original proposals for the development were amended following a site visit and consultation with Durham County Council Planning Department and their Conservation Officer. The amendment reduced the width of the first floor extension while leaving the ground floor almost as it was. Elevationally, the extra area on the ground floor compared to the first floor was treated to look like a later lean-to extension. Rear window details were also simplified, while front elevation windows remained as originally proposed and similar in detail to the houses original windows, which while dilapidated, were still present. Also included within the proposals were many Mitigation Measures in connection with Bats and Birds that have nested near or in some cases in the building. Ahead of the application our client had already installed extra nesting boxes etc. near to the house. 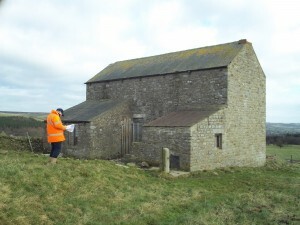 Bat Roosts will be included within the walls of the new extension and in the area of the existing roof ridge with a Nesting Box for Owls being located in near by farm buildings. All the mitigation measures comply with a specialist ecological risk assessment, survey and report carried out by a reputable company. Once refurbished and extended, with a new electricity supply (for the first time!) and an upgrade to the existing track leading to it, Ladley Farmhouse will become the home for the next generation of the family farming the Newlands Hall & Ladley farms. Clive Elsdon Building Design will now be progressing the Building Regulation Application for Ladley Farmhouse, making sure that the details are robust and suitable for it’s elevated and exposed position on the side of Weardale. We are certainly looking forward to the day when it’s new occupants can finally move in! Are you considering a Similar Project? Permitted Development & Prior Notification. We are just submitting our first “Prior Notification” notice. These are for “Large Domestic Extensions” which fall outside of the normal Permitted Development Rights but which fall inside a temporary relaxation that will be in place until 30th May 2016. “Permitted Development” describes a development which can be carried out without applying for Planning Permission. In order to comply, the homeowner or their agent must complete a “Prior Notification” form which asks the basic information normally asked on a planning application form and submit it to the Local Authority Planning Department along with a Location Plan showing the area of the site. In addition we would almost always recommend that a set of plans & elevations are submitted with the form to show the dimensions and character of the extension. This is to prove that the development does fit in with the Permitted Development Right described above and complies with other relevant criteria, such as overall height, eaves height, materials and percentage of original land developed etc. Clive Elsdon Building Design would be pleased to be involved with your project, whether it falls within the usual permitted development rights, within the relaxed permitted development rights or requires a full planning approval. Within DL & DH postcodes, and sometimes other areas, we will meet you at the site to discuss your project and look at the feasibility of it FREE of charge. Call us on 01388 526641 or drop an email to design at cliveelsdon dot co dot uk (replacing “at” and “dot” with the appropriate symbols) to discuss this further.